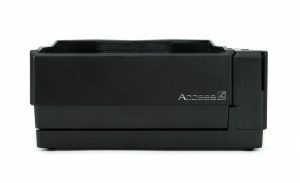 Access’ KAD300 is a state-of-the-art, multi-functional OCR/MSR reader with a low profile, compact design and options for barcode reading and RFID functionality. ATOM allows for both desktop use and simple, OEM integration into countertops. 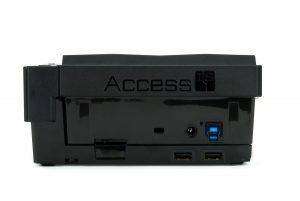 The device delivers fast (non-swipe) MRZ decoding of passports and ID cards and integrates an ergonomic MSR swipe reader for credit and FQTV cards. 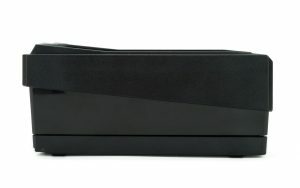 ATOM can optionally include an intuitive and fast 1D/2D barcode reader that can read from paper, phones, tablets and smart watches. Barcode tickets are presented, face-down, over the scanning window. The large window, wide viewing angle, and depth-of-field creates a large barcode reading area. 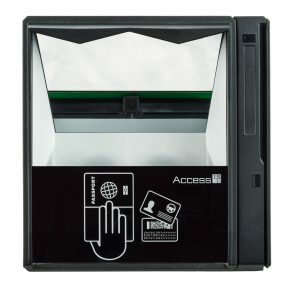 Designed for future-proof operation, the unit can be supplied equipped with contactless/ RFID operation and, if permissible, can provide full-page passport/ID images via a simple upgrade. 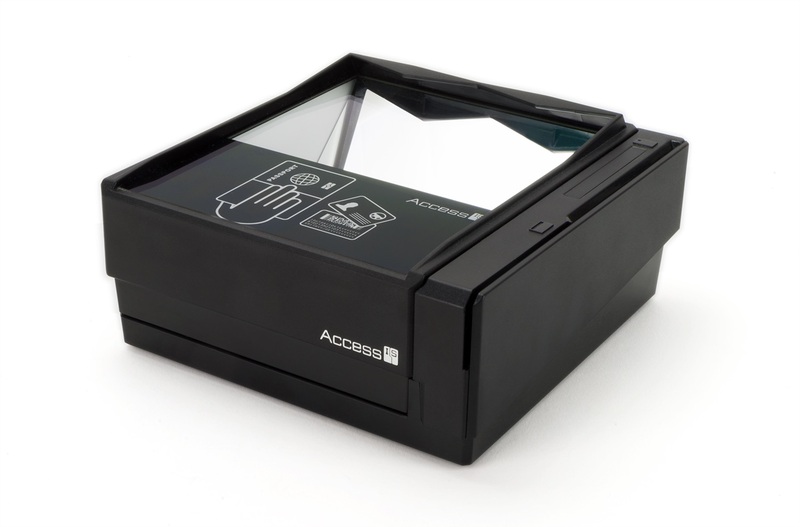 When upgraded for passport imaging ATOM’s innovative ‘shark fin’ document guides ensure that even the most widely travelled documents quickly slide onto the glass, with bent corners eased down for a perfect read every time.